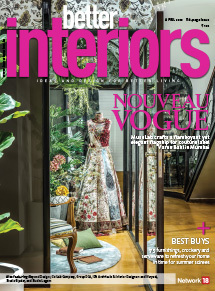 Fashion fades and fads turn with the season, but there are some indulgences that remain timeless and remind us that the appeal of a well-designed living room is eternal. 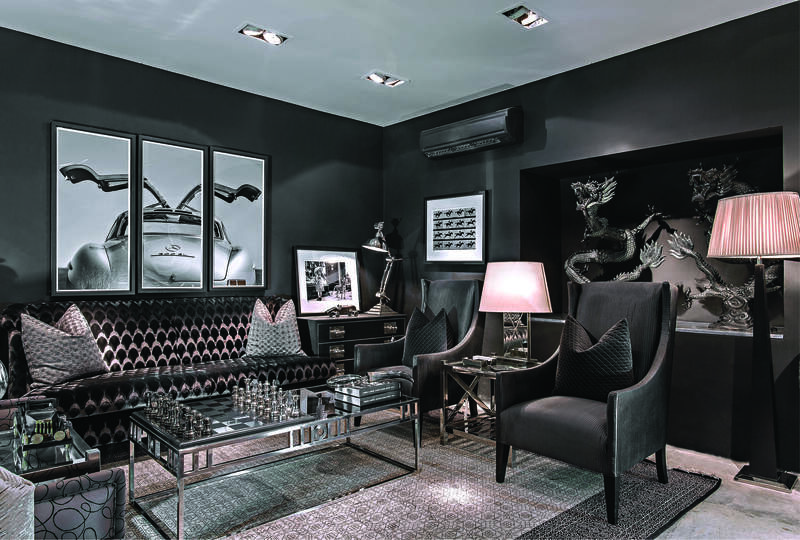 Co-founder and design creative director of Apartment9, Anuja Gupta, achieves this by taking the luxe route using rich materials in shades of black and white interspersed with steel accessories in this set-up. “While opposites attract, contrasts click. 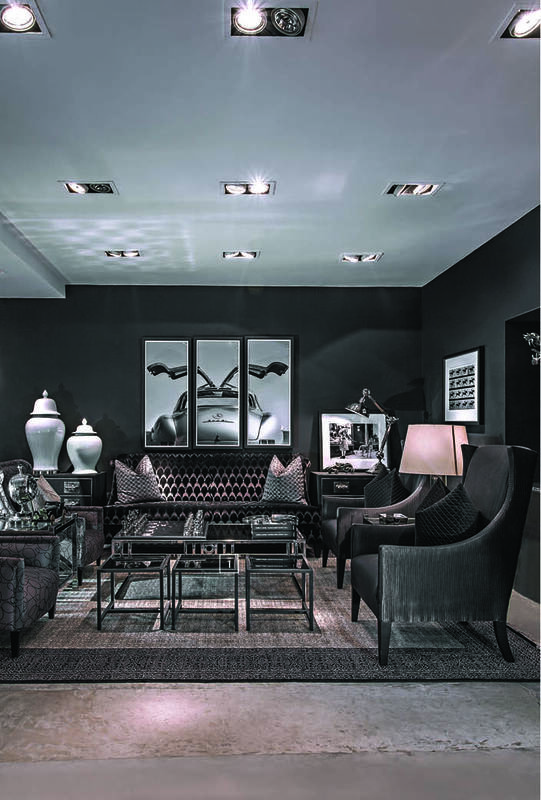 In the story of black and white, the yin and yang of the decor world, both these design principles hold true. Though the two are as different from each other as dawn is from dusk, neither is complete without the other. When used in the right proportions it makes any space stand out. In this living room, the duo create a bold statement. Complementing it are a melange of different elements such as glass, rubber, steel and ceramic; and their textures and finishes evoke a rich, luxurious feeling. 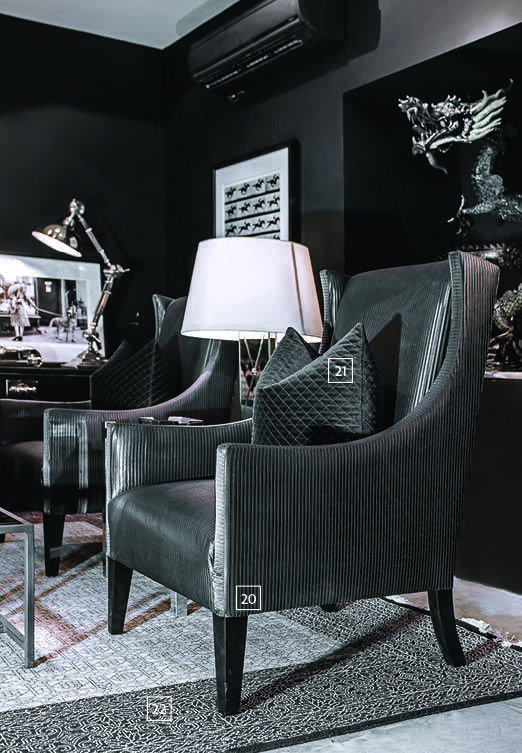 The monochromatic setting is dramatic to say the least, but to make it truly international, I used furniture from the Andrew Martin collection, one of UK’s top design houses created by celebrity designer Martin Waller. Besides this, I decided to place oversized objects that instantly grab eyeballs. For example, the large white ceramic jars call for attention due to their sheer size and give the room a grander feel. While these jars add a formal touch to the setting, the large chess set on the coffee table gives it a more youthful and playful vibe. 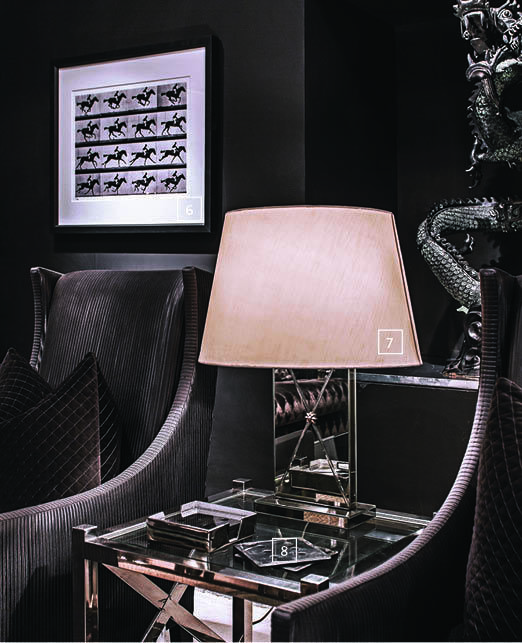 The dragons contrast well with the contemporary, smooth-surface lamps and accessories and give the room an Eastern appeal, and hint at the fact that the owner of such a living space is a well-heeled traveller. However, what ties the room together, are the black-and-white artworks, a set of unique photographs that are a collector’s items. These photographs are numbered and only a limited few exist in the world. The triptych of the Mercedes in the centre adds a sense of movement, and is youthful yet elegant. The frame with lady and the cheetah is casually leaning against the black wall while that of horses in motion has been hung on the wall next to it. They balance the colours and ensure that in this setting, ebony and ivory remain in harmony. 1 If you want to give your living room a different look, place this glass and stainless-steel Trio Coffee Table next to the centre table. It is an interesting design element; ₹ 54,000. 2 They are the workhorses of the furniture family; they showcase decorative pieces, are called to duty when serving snacks and drinks to guests, and often double up as storage solutions. A coffee table has many roles, which is why picking the right one is a must. 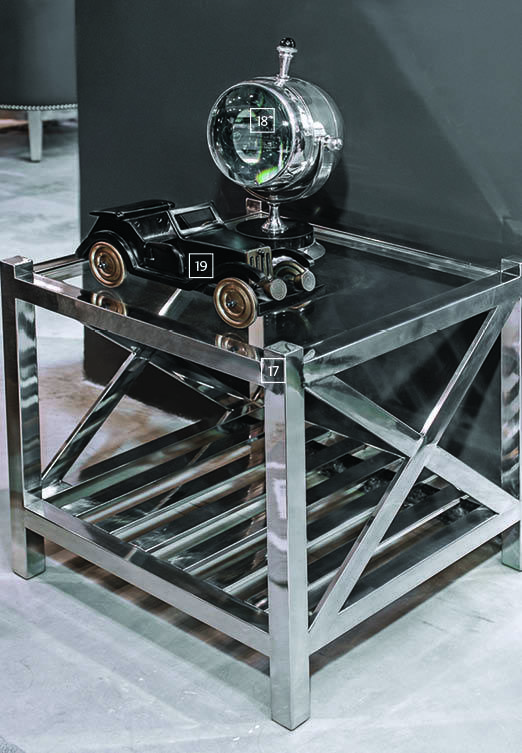 Shown here is the De Luna Coffee Table, made using stainless steel and glass; ₹ 1,35,000. 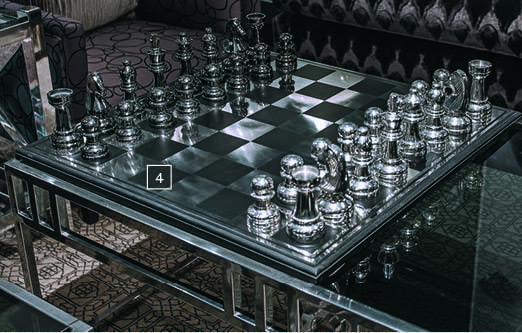 4 The classic chess set gets a youthful makeover in an oversized, stainless-steel avatar; ₹ 36,000. 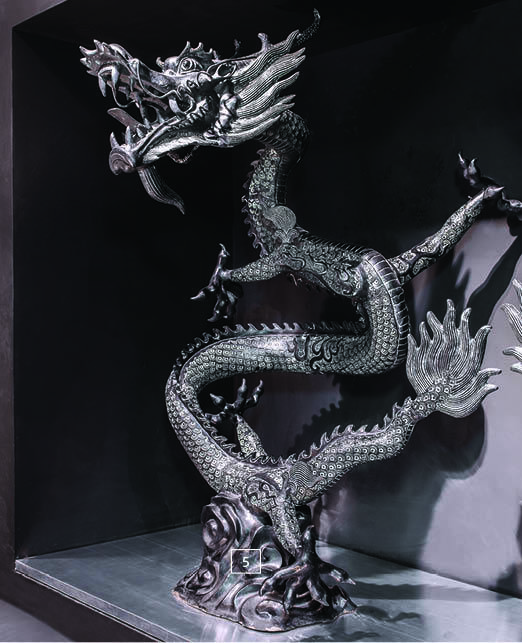 5 The living room should showcase decor pieces picked up during your travels, which are almost theatrical in appeal… like these large dragons in cast iron and patina finish; ₹ 3,02,400. 6 This black-and-white photograph of horses in motion goes well with the monochromatic setting; ₹ 1,25,000. 7 With a glass structure and a white lampshade, this light adds a feeling of warmth to the room; ₹ 13,200 (lamp), ₹ 1,800 (shade). 8 These larger-than-life stainless steel coasters add drama to the room; ₹ 3,060 (set of six). 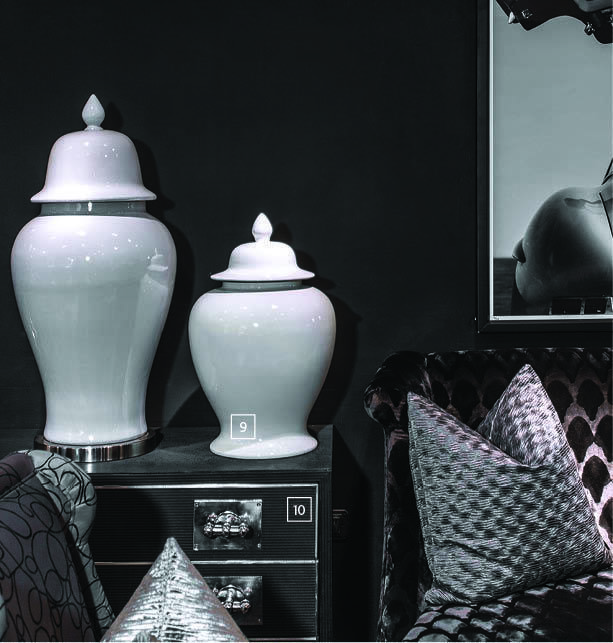 9 A pair of white ceramic Spice Jars contrasts well with the black wall; ` 36,000 (small), ₹ 86,400 (big). 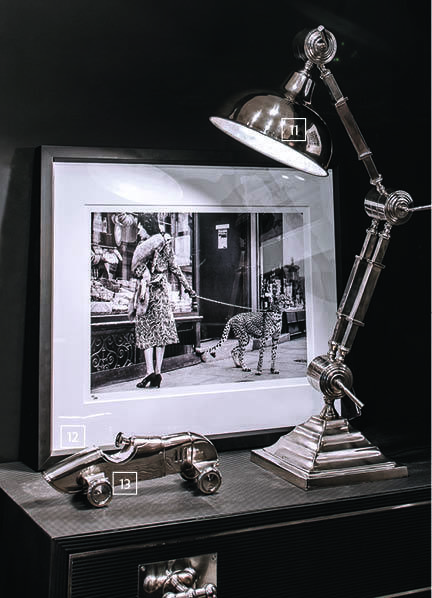 11 If you are looking for a lamp that’s both contemporary and cool, go for this stainless steel one; ₹ 15,300. 12 This black-and-white photograph of a Lady with the Cheetah looks great against the black wall; ₹ 1,25,000. 13 Striking and stylish, this aluminium car with a nickel finish is a great addition to the living room; ₹ 4,500. 14 How is this for visual opulence? 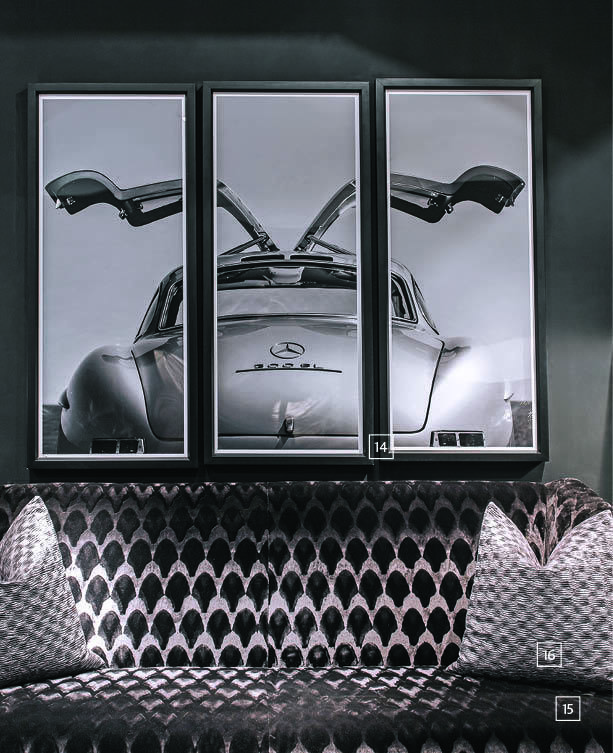 A black-and-white photograph of a triptych of Mercedes that forms the focal point of the room; ₹ 3,80,700. 15 No self respecting living room can do without a comfortable sofa. Featured here is the Crawford Sofa made from teak and mirandi wood and upholstered in Avalanche Mink fabric, which is a faux fur; ₹ 2,95,000. 16 Filled with feathers, the Tidal Cushion Cover is made from a mix of polyester, cotton and viscose; ₹ 5,700. 17 Called the Horatio Side Table, this elegant beauty is made from stainless steel and glass; ₹ 95,400. 18 Aluminium with nickel finish and glass come together to create this 7-inch See Through Movement Clock; ₹ 17,100. 19 Going well with the monochromatic setting is this black car made from aluminium, which has a vintage finish; ₹ 7,500 . 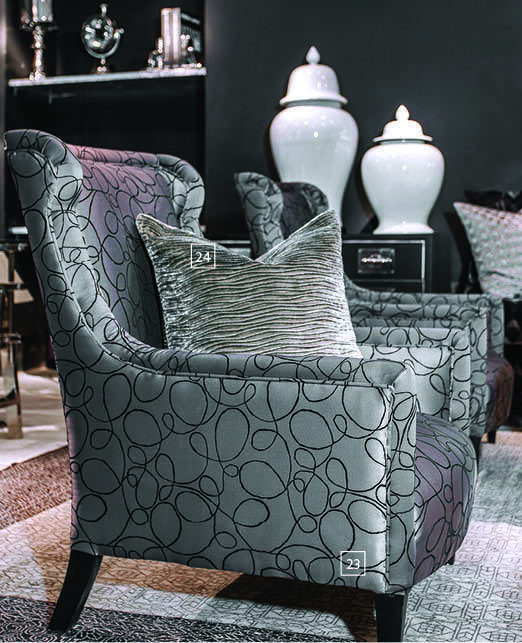 20 The Pluto Chair Boudin has been upholstered in Charcoal fabric — a mix of polyester, cotton and viscose — to create a comfortable yet sophisticated seat; ₹ 1,15,000. 21 To make the chair even more comfortable, place the Mackintosh Cushion Cover — a mix of polyester, cotton and viscose — on it; ₹ 6,300. 22 Make the ground beneath your feet more stylish with the Mughal Jail Carpet that’s made from hand-woven wool; ₹ 2,70,000. 23 Sit pretty on the Venus Chair that has been upholstered in Twister Earth fabric, which is a mix of polyester, cotton and viscose;₹ 95,000. 24 The Golden Ripple Cushion Cover uses varying proportions of polyester, cotton and viscose, which makes it soft and comfortable; ₹ 7,400.